SIMCO recently acquires a new 150 ton Plastic Injection Molding Machine. SIMCO has injection molding machines ranging 110 tons to 350 tons this gives us the ability to mold all of our plastic cases in house. SIMCO recently purchased a Cincinnati Milacron 150 Ton plastic injection molding machine this month. Acquiring this new machine will allow us to keep up with demand on our small plastic enclosures, such as our wall mount, potting boxes and utility series enclosures. We are expanding capabilities in an effort to reduce lead times on custom runs and offer the customer more options such as custom material and colors. Having another machine will improve productivity and help us keep costs down at the same time improving turn-around on on-line orders and maintaining stock. It is our goal at SIMCO to produce a quality product at a reasonable cost and this will help us achieve that goal. 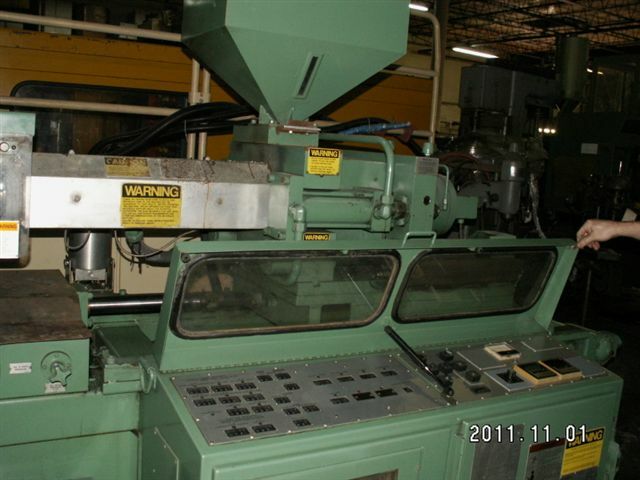 Because we purchased this machine, three other molding machines had to be relocated within the molding room. The machines were placed in a manner that utilized every inch of room. This had the result of providing more space in the molding department thus making us more productive. SIMCO has injection molding machines ranging 110 tons to 350 tons this gives us the ability to mold all of our plastic cases in house. We also have several CNC machining centers to modify the molded enclosures to meet your requirements. We can even print your company logo on the case of your choice. Thank you. We bought it from Gator in Miami. Nice looking machine. Where did you get it?